As a voice coach I am working with people’s voices every day but there is one aspect of my work which really matters to me and that is vocal health. Teaching, preaching, acting, being a politician, a manager or a call centre agent – all these jobs require the use of the voice. Many things influence the effectiveness with which you speak: physical ease and breathing, the ability to handle stress, remaining flexible in demanding situations and lifestyle choices, will all impact on your vocal health. Many years ago I first came across the Voice Care Network. It was founded in 1993 when it was realised that a high percentage of teachers were receiving clinical treatment for voice disorders. A group of speech therapists (from a medical background) and voice coaches, like me, got together to pool their knowledge and support all occupational voice users. In 1998 it became a registered charity and has now developed strong links with the main teaching unions and over 60 local authorities who have received workshops. The VCN furthers understanding of the voice by sending out information to government and educational bodies. They develop and deliver work for a range of professions, notably call centres and those working in the media. And why is this work important? Well, occupational voice users rely heavily on their ability to remain vocally fit in order to adapt the tone of voice in a range of situations. When voice fails it can be costly. 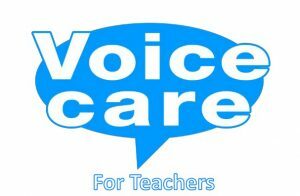 A 2008 survey on voice issues indicated that 73,000 working days had been lost in British primary schools in one year and this had an estimated cost in supply teaching terms of £15 million! Earlier this year I had the great honour to be invited to join the board of trustees of the Voice Care Network. I am now looking forward to helping move this really important charity forward. Drink lots of water at room temperature. Lessen your intake of caffeine when working. If your voice is poorly stop speaking! (this is the quickest way to get it back). If you have a sore throat, fruit pastilles are as good as throat sweets. If your voice hurts you are doing something wrong so pay attention to it. If you have ever lost your voice or have found that your voice wasn’t up to the ‘job’, you will understand why this means so much to me. Do take a look at www.voicecare.org.uk and perhaps consider joining the charity to support its work. If you follow me on twitter @voiceexpert you might also like to read my tips @voicecareuk. 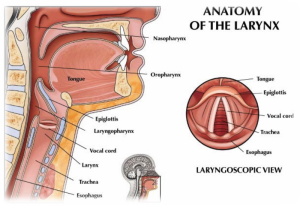 Thank you for taking the time to read this and for sharing my passion for vocal health.